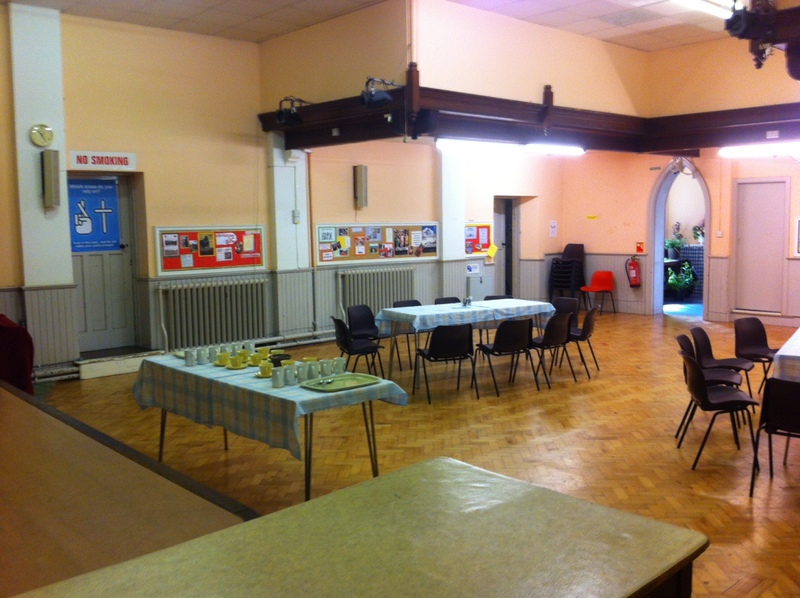 On the ground floor the Church Hall area comprises the large hall itself with a kitchen, store room and ladies’ toilet leading off. A hearing loop system has been installed. Upstairs there is the Church Study, Meeting Room and another store room. Wheelchair access is via the external side passage way. 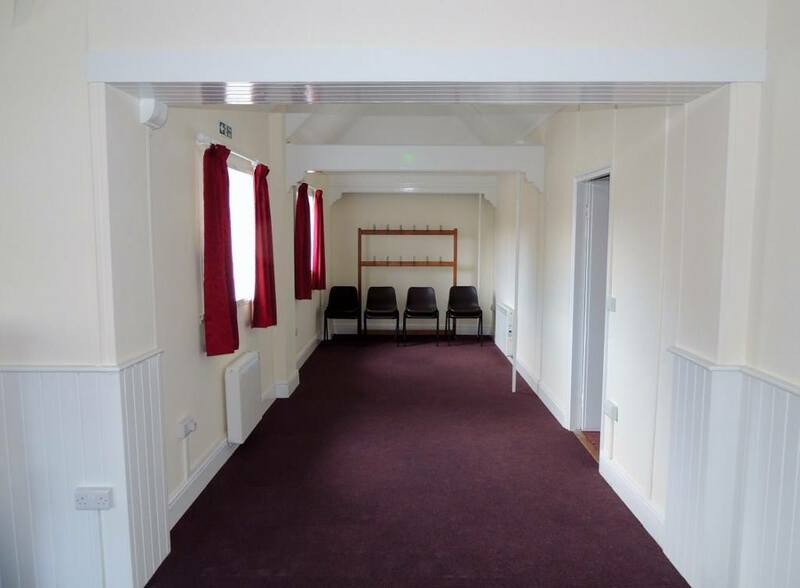 A gent’s toilet and boiler room is situated by the entrance to the Church Hall. 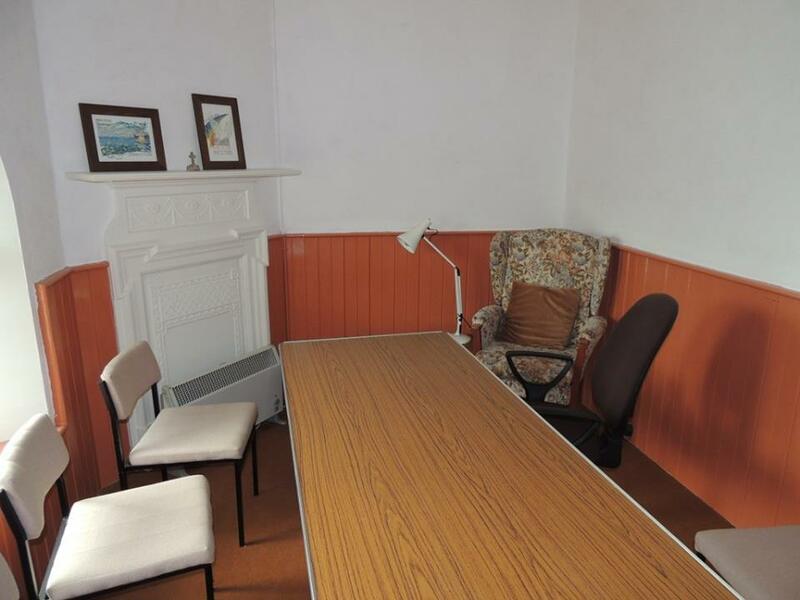 To see which groups use our various rooms please click here. 1. 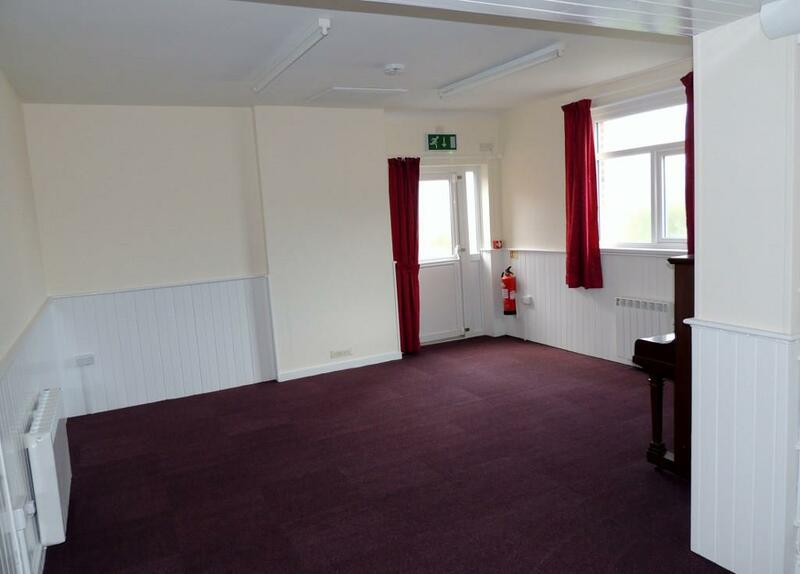 All applications for hire must be made to Dr. W. Collier or Mrs H. Collier at Silverside, 28 Seaton Down Road, Seaton EX12 2SB (Phone 01297 21594). 2. The Hirer shall not sub-let the premises or any part thereof. 3. 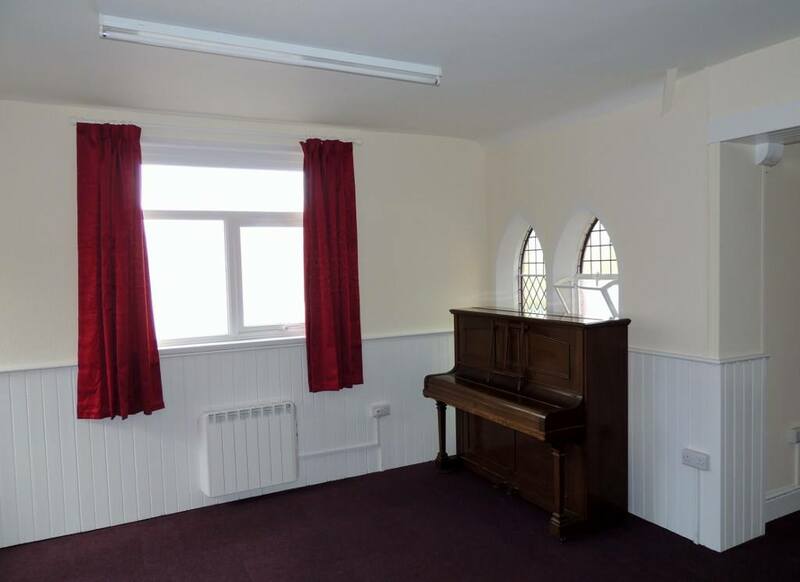 In exceptional circumstances the Church retains the right to suspend or cancel bookings in consultation with the Hirer if the premises are required solely for Church use. 4. Hirers must obtain and maintain Public Liability Insurance of a minimum sum insured of £2 million or such greater sum as the Church may require for any one event and may be asked to produce such documentation prior to their event. 5. Except insofar provided for under the Unfair Contract Terms Act, 1977, the Church shall not be responsible for any loss, due to any breakdown of machinery, failure of supply of electricity, leakage of water, fire, government restrictions or Act of God, or any other cause which may cause the premises to be temporarily closed or the hiring to be interrupted or cancelled and the Hirers shall indemnify the Church against any claim which may arise out of the hiring or which may be made by any persons resorting to the premises during the hiring in respect of any such loss, damage or injury. 6. The Hirer shall be responsible for good order and decency being kept in the premises during the hiring and the Church may, if it thinks fit, charge the Hirer for any extra expense they may incur for engaging any police constables to preserve good order prior to, after or during any entertainment or meeting in the premises. If the Hirer shall fail to maintain good order and decency during the hiring the Church may, at its absolute discretion, cancel any other booking for the premises that the Hirer may have made without incurring any liability to the Hirer whatsoever other than for the return of any fee paid to them thereafter. 7. It is the Hirer’s responsibility to ensure that any portable electrical appliances have been checked and certified as passing a ‘Portable Appliance Test’ by a qualified electrician. 8. The Hirer shall at the expiration of the period of the hiring leave the premises in a clean and orderly state and shall defray the expenses of making good any damage to the premises or the contents thereof. 9. No bolts, nails, tacks, screws, etc. shall be driven into, nor shall any placards, or other articles be fixed in any part of the interior of the premises. 10. The Hirer shall ascertain the position and operation of all fire fighting apparatus and shall ensure that the attendants appointed by him are instructed in their duties in case of fire. In the event of a fire call the fire brigade on 999 and then evacuate the building to a position of safety (see Fire Notices in the building for details of assembly point). 11. The Hirer or his / her appointed attendants shall ensure that the premises are evacuated in a quiet and orderly manner, particularly at night, to prevent disturbance to nearby residents.